Webster University students Mia Mendoza and Emily Sharpe were trapped in the Community Music School elevator for nearly two hours, according to a tweet from Sharpe. Mendoza said they wanted to go to the ground floor, but the elevator stopped on the second floor and the doors would not open. Webster Groves Fire Chief Michael Pfeiffer, Pat Matthews and Mike Peters as well as police officer Ryan Mazuranic were the first to arrive on the scene. 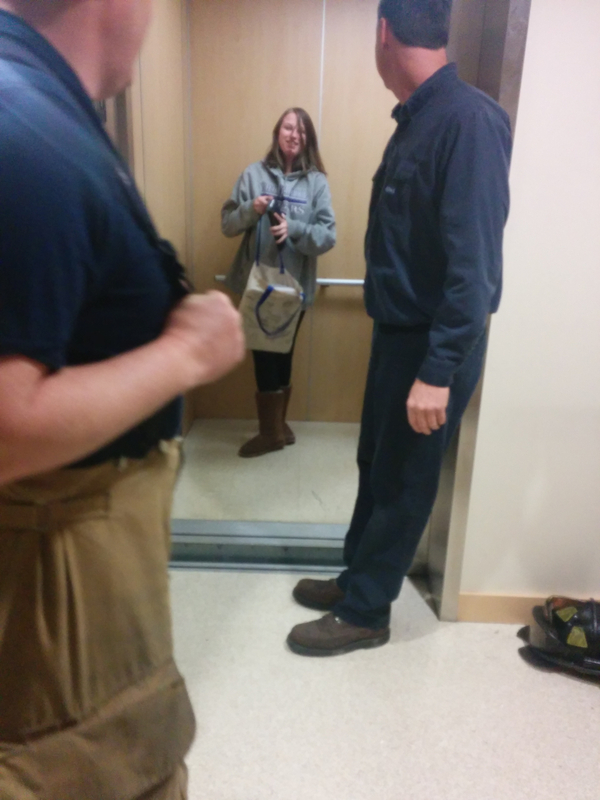 Pfeiffer said Webster staff called 911 after the girls pushed the emergency call button in the elevator. Peters said they received the call from dispatch around 9:45 p.m.
At first, Pfeiffer said they did not know if the problem was electrical or if something got stuck. The elevator runs on a pulley system which could only be fixed by a representative from Kone, the elevator company. Pfeiffer said each company has different operating systems for their machinery and know how to fix the problem. Peters said they were not trained in overriding systems. They left the lights on in the elevator and were able to maintain communication with the girls. 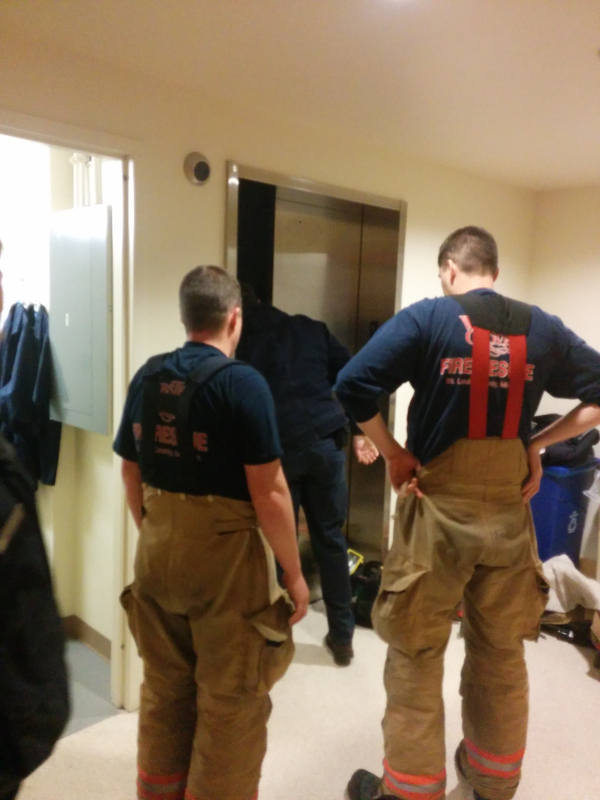 The elevator’s location made it impossible for the firefighters to reach them. “They’re literally trapped in between floors,” Peters said. The firefighters and Mazuranic made small talk while they waited for the Kone representative to arrive. They said they were calm about the situation because they knew the girls were okay. Mazuranic said they had seen worse. A representative from Kone arrived almost two hours after the initial 911 call and was able to get the elevator back on the first floor to let the girls out safely. As soon as the doors opened, Sharpe and Mendoza were lying on the floor of the elevator looking at a propped up iPad. They stood up, sighed heavily and walked out of the elevator. “I ate an entire sleeve of crackers,” Mendoza said. Mendoza said after they called for help, they sat on the floor and “tweeted a lot.” Sharpe said they were not scared and it was really boring. The girls laughed about the experience, but said they would probably never use that elevator again.